Internal Memory - soundseeder.com | Play music simultaneously on multiple devices. This library represents your local music files, grouped by Albums, Artists, Songs, Folders, Genres and Playlists. It contains all audio files that were indexed by the Android OS in the external memory of your device. Select any library entry to play it or to add the entry to your current playback queue. 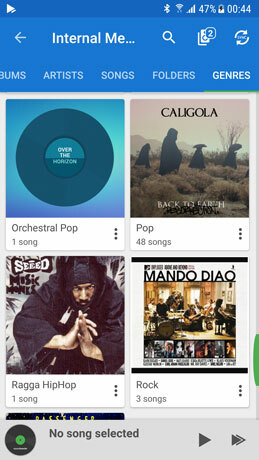 To filter library entries, select the search icon in the top-right corner of the library view and enter the name of the Artist, Album, Song, … you are looking for.